Katherine S. Newman is the provost and senior vice chancellor for academic affairs at University of Massachusetts, Amherst. 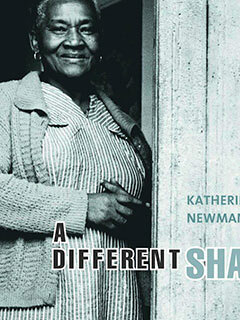 A widely published expert on poverty and the working poor, she is the author of several books on urban poverty, including No Shame in My Game, which won the Robert F. Kennedy Book Award and the Hillman Prize for Book Journalism in 2000, and A Different Shade of Gray: Midlife and Beyond in the Inner City (The New Press). She is a co-author, with Victor Tan Chen, of The Missing Class.